Horsegrm plays a vital role in reducing weight. It also has other health benefits and good for patients having diabetes, heart disease and kidney stone. It is good to have in many ways like sundal, soup, dal or chutney. Preparing a sundal out of it is one of the easiest recipes. It requires very less oil. Adding coconut is optional to this recipe. Depending upon the recipe, I soak the horsegram. 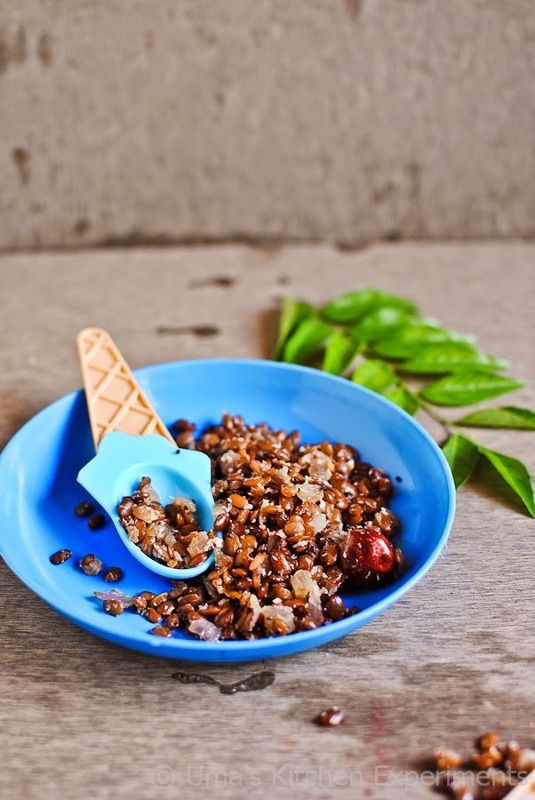 For making sundal, my advice is to soak it for a longer duration to get a softer version of sundal. Addition of onion makes the sundal more tasty and feel free to add more if you like it. It is good to have this dish once in a week but in a limited quantity as my grand mom says it increases the body temperature. 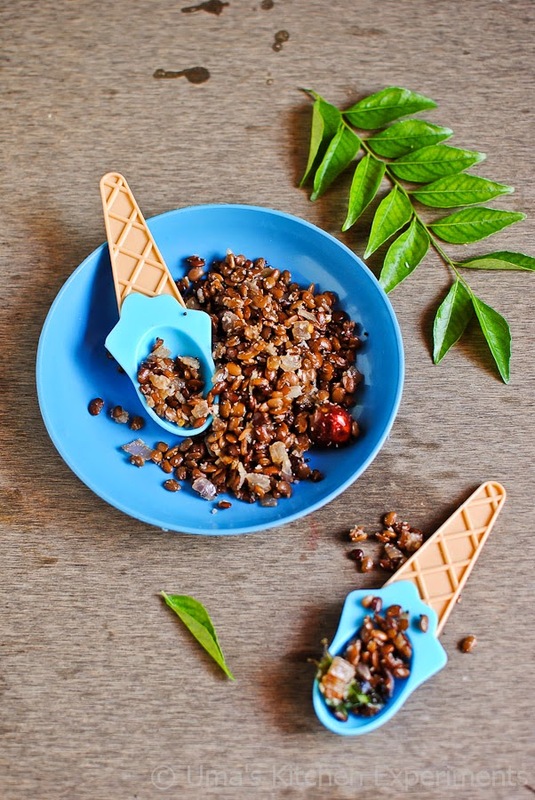 1) Clean, wash and soak horse gram overnight. If you are running out of time, you can soak it for a minimum of 1 hour. 2) After 30 minutes of soaking, pressure cook it for 4 whistles by adding 2 cups of water. 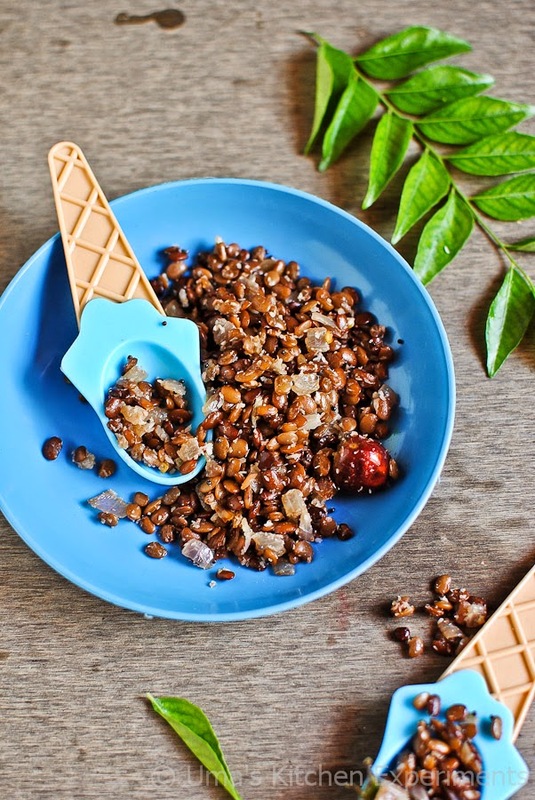 Cooking time differs based on the quality of horsegram. 3) Once the steam subsides from pressure cooker, drain the water from horsegram. You can use the water to prepare this kollu soup. You can either prepare kollu rasam or just drink the water as such by adding salt and pepper. 4) In a pan, heat oil. Add mustard seeds and allow it to splutter. 5) Add asafoetida, curry leaves and crushed dry red chillies one by one. 6) After few seconds, add onion and saute till it is soft and translucent. 7) Add the horse gram and salt. Stir for few seconds or until the moisture is completely absorbed. At that point turn off the stove. 8) Add coconut and stir well. 1) If you are going to have this sundal immediately, then add coconut after turning off the stove. otherwise cook it for few minutes and then turn off the flame. 2) You can soak horse gram just for 15 minutes and cook it immediately for recipes other than sundal. 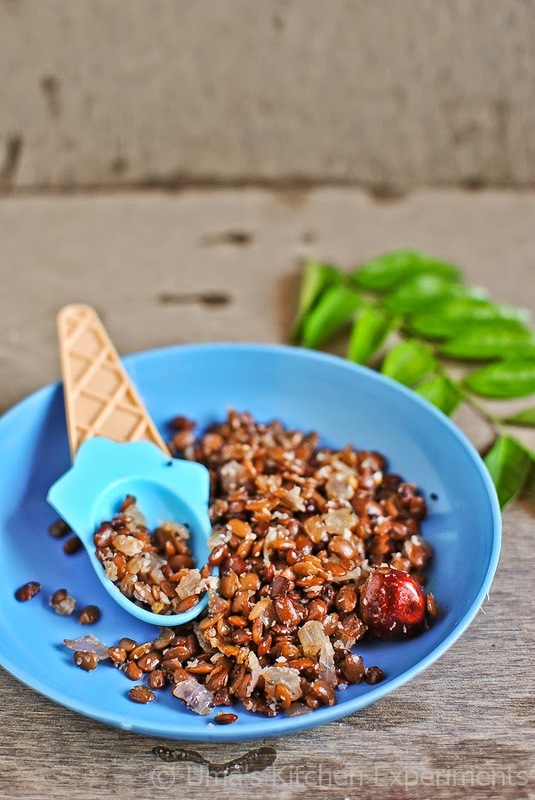 However, for making sundal, you need to soak it for a longer duration time to get a softer version of sundal. Healthy sundal,I do make it often.. I like to add onions to my sundals n i do the same way :) healthy and filling snack ! !